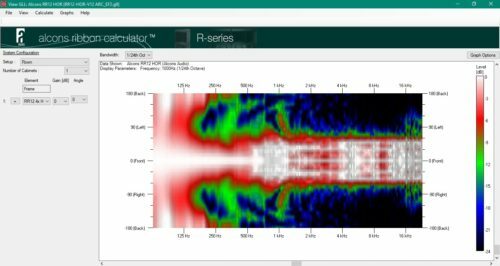 Unique seamless arrayability up to/beyond 20kHz. 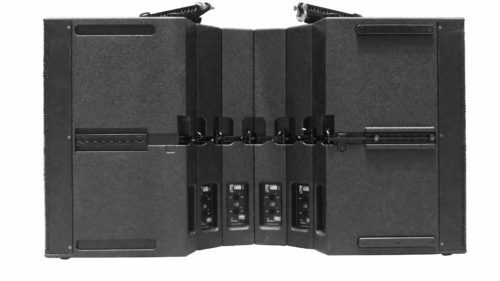 The RR12 is a point-source array element, developed as “building block” to create tight packed arrays for controlled sound coverage in the widest variety of audience areas. 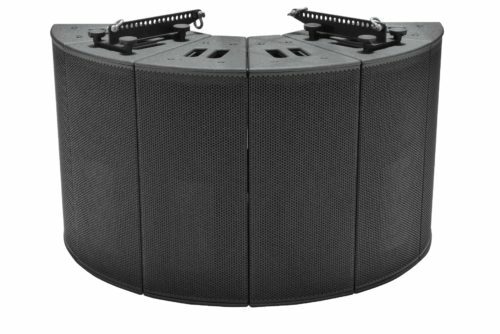 The system features the Alcons-proprietary RBN602rs 6” pro-ribbon driver and a custom-designed 12” woofer with 4” voice coil, dual-spider suspension with forced-venting; while both transducers have Neodymium motor structures, the RR12 has a very high performance-to-weight ratio. The purpose-designed 6” pro-ribbon driver is based on Alcons’ all-new “RBN02” pro-ribbon platform; This platform dramatically raises the bar in power handling and efficiency of pro-ribbon transducer technology. The RBN602rs is coupled to an asymmetric “Morph-Max™” wave-guide, designed using the latest, state-of-the-art development tools: Proprietary-programmed analysis/simulation software in combination with 3D-prototyping and special manufacturing techniques, resulted in this non-compressing, resonance-free multi-cell guide with wide-band razor-sharp directivity control up to beyond 20kHz.. 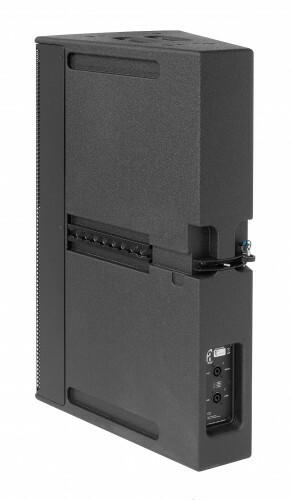 The trapezoidal cabinet is fitted with integrated mounting hardware, enabling array assembly with just a single operation from the rear of the cabinet.  Tight-packing the RR12 in horizontal or vertical arrays for stacked or flown applications, dispersion patterns are formable in increments of 30°; 30°, 60°, 90°, 120° in the coupling plane, by asymmetric 60° (+20°/-40°) in the non-coupling plane. 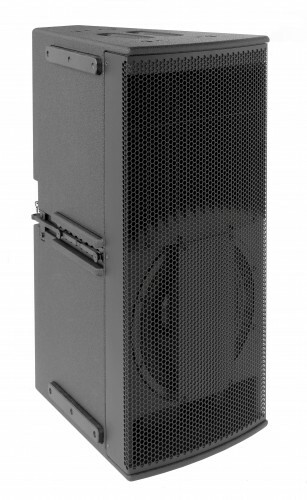 The RR12 is driven by the Sentinel amplified loudspeaker controller; The system’s response is optimised by factory presets for each array configuration, including presets for phase-matched low-frequency extensions. The Signal Integrity Sensing™ pre-wiring ensures complete cable/connector compensation between the RR12 and Sentinel, resulting in a fast and tight mid and bass response, while reducing distortion even further. Utmost reliability is one of the main essentials for Alcons systems: Each transducer/processing design has to pass a rigorous 1000 hour test at maximum (clip) levels. This is a key element in Alcons’ system development.  Each array configuration can be simulated in the Alcons Ribbon Calculator (ARC), Alcons’ high-resolution 3D simulation program.